Personality Diagnostics Research Papers answer the questions that should present a comprehensive analysis, synthesis, and evaluation of what you have learned. Research Papers on personality diagnostics show the tests to determine personality traits are very useful for psychologists, sociologists and even people in business management positions. Have Paper Masters custom write your research on personality diagnostics and tailor it to your exact needs. 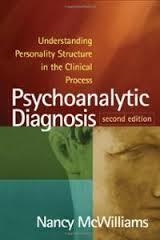 The purpose of using personality diagnostics is to attempt to measure personality, so that an individual can be better understood. Through personality diagnostics like the Myers-Briggs tests, diagnostics can be used to anticipate these opposing but legitimate personality conflicts and spawn creative solutions. For example, in work environments using typology as a systematic, workable, logical tool for individual organizational development and for team building have proven more efficient, productive and, ultimately, financially successful. Human motivation comes from within the individual type and no manager, regardless of how effective he or she is, can be successful if they attempt to motivate everyone in the same way. On an individual level, it would appear that the personality traits of the individual would win over management goals. However, if one is to consider the entire organization, management cannot allow an individual rule the workplace. The challenge for leaders is to create an environment where people are encouraged to be all they can be. When a leader has knowledge of the personality type of their subordinates, it can assist them in knowing the unique abilities of each person and helps them work to develop and maximize their potential. This can result in saving time and negative energy that may have been spent trying to make people fit a specific or defined position or way of performing. Exceptional performance by ordinary people occurs when leaders have worked with whom their employees are rather than whom they think they should be. Hence, the utilization of some form of typology testing is quintessential in the battle to meld the goals of management and personality in the workplace. Typology works on the basis that it is normal and healthy for people working together to have a variety of opinions and attitudes. The challenge facing the manager in any organization is to direct these distinct personalities into a formation that will work toward a common goal, to create synergy or organizational group cohesiveness. A first step in creating a culture that fosters quality employee performance is for managers to understand that organizations benefit if they take into account basic human motivation. In fact, organizations that design their corporate culture to support the personality traits and basic motivations that determine, shape and guide the behavior of the employees, everyone benefits. First, people have a driving need for growth. Learning is generally intrinsically motivating because it leads to joy and energy. If we are challenged and our unique personality traits are valued, then we become fully engaged. Next, people have an inherent need for control and autonomy. Corporate culture often dictates ends and means to workers. Another option is for companies to create a culture that gives control and opportunity to employees. This can be done by clearly stating the company goals and then supporting employees in finding their own methods to achieve the goals. People are social by nature. At work, people build a sense of belonging by interaction with coworkers. Conflict and negative feelings detract from the sense of belonging. Also, people must feel secure in their relationships. The fear of losing one’s job destroys this sense of security. To take advantage of this, managers should enable employees to contribute so they feel valued and respected. The Myers Briggs Type Indicator is a 126 self-assessment inventory that provides the individual with some insight into his or her personality. While this assessment is not the definitive answer to understanding a particular individual, the Myers Briggs Type Indicator provides a mechanism for self-understanding, career counseling, leadership development and a myriad of other personality defining situations. Because the Myers Briggs Indicator has become such an integral part of self-understanding, the test is not only utilized by psychiatrists and psychologists but also, it is often administered by school administrators as a means to gage the personality of an individual. Each individual is give an letter score based on where he or she falls on the continuum for a total of sixteen different potential personality types: ISTJ, ISTP, ESTP, ESTJ, ISFJ, ISFP, ESFP, ESFJ, INFJ, INFP, ENFP, ENFJ, INTJ, INTP, ENTP, and ENTJ. Descriptions of each of the sixteen personality types provide an overview of the individual’s personality. Go to the following website: Myers-Briggs Test and complete the 72 question Jung Typology Test. Click on “Score it” and retrieve your four letter type. Next, go to www.personalitypage.com and investigate the various buttons for descriptions of your Type and data on relationships, careers, and so forth. (buttons 4-8). Pointing to the 4th button, the following description appear => Information About Personality Types. Once there, click on The Four Preferences, Keirsey’s Temperaments, and The Sixteen Personality Types to locate the description of your type. Having determined your Type (four letters) and Temperament (two letters), write a 4 page summary about what you have learned about yourself in various work and other situations. Read the Type Talk at Work. This text focuses on how various Types relate at work. This is an excellent instrument to be aware of so as to assist you in achieving your goal of managerial excellence in the work place. 1. QUESTION 1: Discuss the validity of each of the four letters of your type and temperament. This would include a separate section for each letter of your personality type as well as a section for discussing your personality type based upon all 4 letters. Give specific examples from your life—especially your work life—and be prepared to discuss the weaknesses of your personality type as well. 2. QUESTION 2: What have you learned from Type Talk At Work as related to your type? This should be viewed as a separate section of your paper. Be prepared to talk in terms of what you learned about how you interact with others, specifically in terms of how your personality type interacts with other personality types. Summary: The answers to these questions should present a comprehensive analysis, synthesis, and evaluation of what you have learned about yourself. Conceptualizing the Personality Scale - Conceptualizing the Personality Scale research papers include the development of the Personality Scale and Associated Materials. Evaluation Research - Evaluation research provides a study that is based on systematically evaluating a program, action or policy. Antisocial Personality Disorder - Antisocial Personality Disorder, in particular, has experienced many changes in diagnostic criteria. Personality Disorder - Personality Disorder Research Papers discuss different disorders that affect a person's personality. Clinical Psychology - Clinical Psychology research papers examine the practical science that seeks to understand, prevent, and relieve psychological distress or dysfunction as well as promote mental well being in individuals. Diagnostic and Statistical Manual of Mental Disorders - Diagnostic and Statistical Manual of Mental Disorders research papers examine the text that offers criteria for the classification of various mental disorders. Personality Disorder Narcissism - Personality Disorder Narcissism effect individuals in a variety of ways like narcissism. Primal Fear - The movie, Primal Fear, was written by Steven Shagan and Ann Biderman and the original novel, Primal Fear, was written by William Diehl. Assessment Instruments of OCD - One of the oldest tests that assesses this disorder is the Minnesota Multiphasic Personality Inventory. Antisocial Personality Disorder - Antisocial Personality Disorder Research Papers deal with the diagnosing the disorder. Symptoms of Borderline Personality Disorder - Borderline Personality Disorder research papers discuss the symptoms of borderline personality disorder and are custom written from Paper Masters. Conceptualizing the Personality Scale - Professors often assign projects for psychology courses that encourage students to conceptualize how the personality scale fits into psychological theory. Personality Development - Sample research papers on personality development examine the psychological term that defines the enduring pattern of thought, feeling, emotion, and behavior exhibited by one particular individual over another. Personality Traits and Depression - Personality Traits and Depression Research Papers delve into how personality traits may affect depression and also the study the relationship between belief and good luck. Paper Masters writes custom research papers on Personality Diagnostics and answer the questions that should present a comprehensive analysis, synthesis, and evaluation of what you have learned.